GIVE to keen’s 19th Annual benefit gala! Keen to GIVE A GALA GIFT? 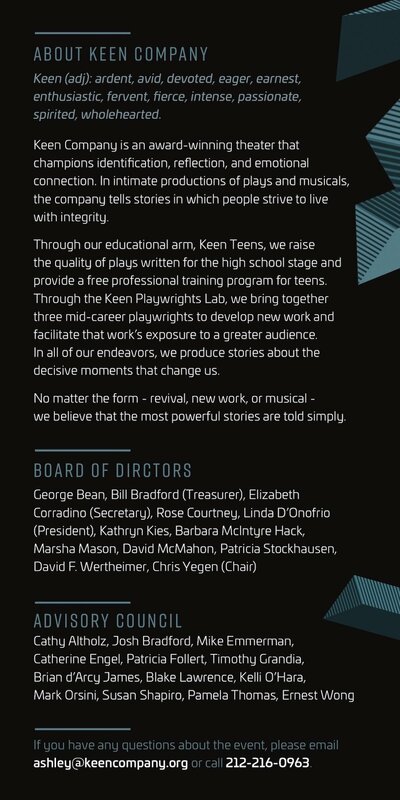 Donations of all sizes support powerful stories, told simply. If you have any questions about the evening, please contact Ashley DiGiorgi at ashley@keencompany.org or 212-216-0963.